We have less than 5 days until Christmas and you just remembered that cousin or something you haven’t bought a present for. On no! What makes it worse is that you don’t know them that well. What are they even in to these days? Well, we’re going to help with some board games with wide appeal that most people will enjoy and won’t cost you much. There’s a chance they don’t like board games, but then they’re going to grumble about how much they hate Christmas and kittens and happiness anyway so who cares. For that edgier internet user in your life who has played ‘Cards Against Humanity’ to death. Developed by the people behind popular politically incorrect ‘Cyanide and Happiness’ web comic, it follows the same ‘complete the joke’ format as the aforementioned CAH. You put out two panels of a C&A strip and try to create the funniest punchline. Fun and offensive party game. 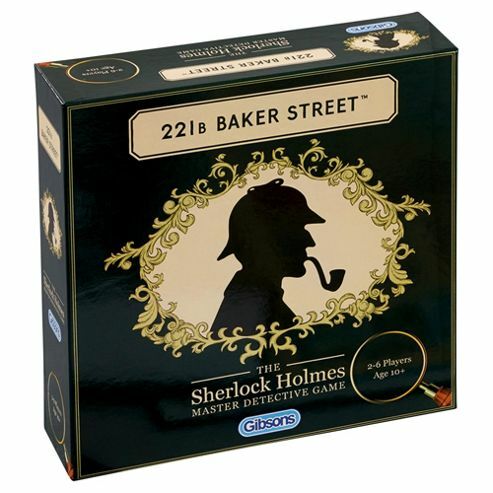 If you’re shopping for a Sherlock Holmes fan, this is a solid investment. Most detective themed games like ‘Cluedo’ or ‘Mystery Express’ centre on finding out the missing card. 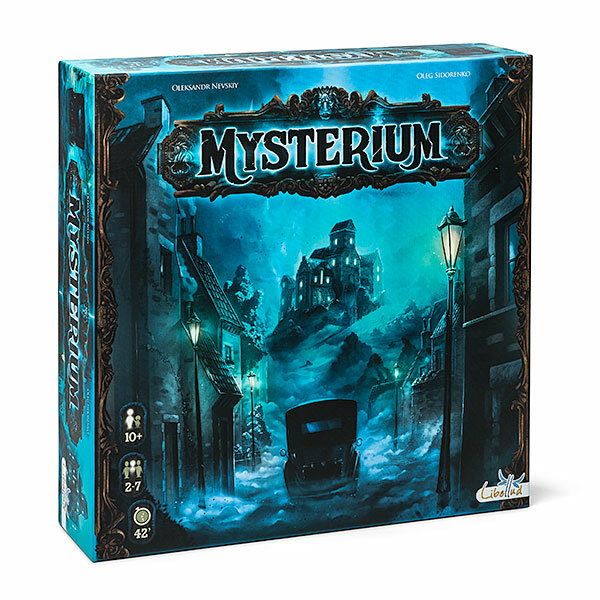 This simple board game comes with a range of story scenarios, and players move around the board looking for clues to make sense of the mystery. First to put together the clues and correctly answer the three questions posed by the story wins. It’s been around long enough that there are plenty of expansions available with new stories. If you’re looking for something simple it’s hard to go past ‘Love Letter’. There are only 16 cards in the deck, and the goal is to be holding the most valuable card at the end of the round to score a point. On your turn you have two cards in hand and have to play one, each card having a different effect and the most valuable cards being the hardest ones to hold on to. It’s quick, simple and very repayable. In addition to the original you can get Batman, Hobbit, Adventure Time, Archer, Star Wars and a Lovecraft themed version as well. 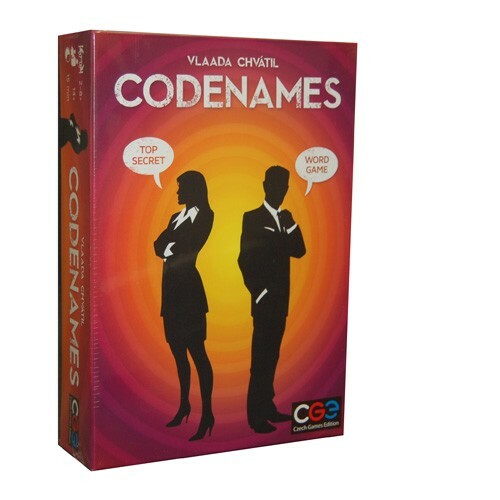 Another game getting a long needed reprinting, and a great party game. Everyone gets a card that reveals the location of the round…except one person. They’re the spy. 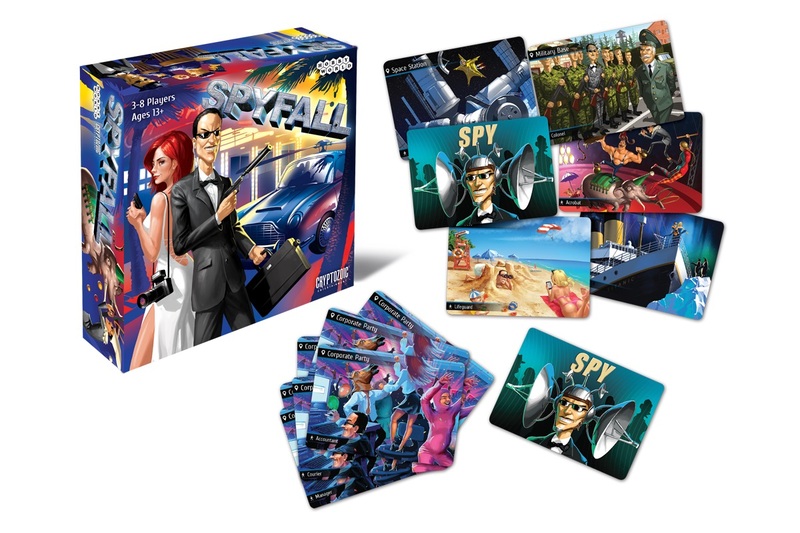 As players take it in turns to question each other they have to determine who the spy is, while the spy has to work out what the location is so they can blend in. It’s fast and immensely fun. Got a retro gamer fan in the family? Grab them this. Each player is an end game final boss who has to build a level to lure in video game heroes and kill them before they reach the end. This means lots of traps and lots of monsters. 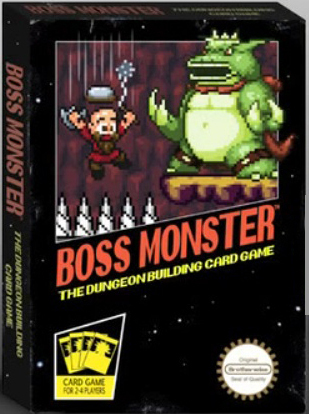 Any heroes who get to the end will take off a life point from your Boss Monster, so you have to strike a balance between being enticing and being dangerous. 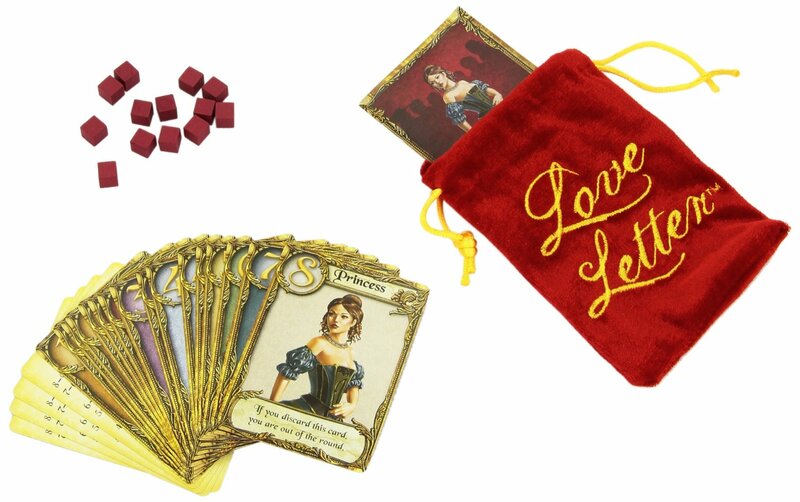 This is a seriously pretty game, and well suited to the artist or writer in your life. It’s centred around a series of surreal images printed on cards and being able to come up with a one sentence story inspired by an image. Other players will play cards that they think match the story and then everyone tries to guess which card was the correct one. Nice, relaxed fun. On the other hand, you may have a miserable person to buy a game for. 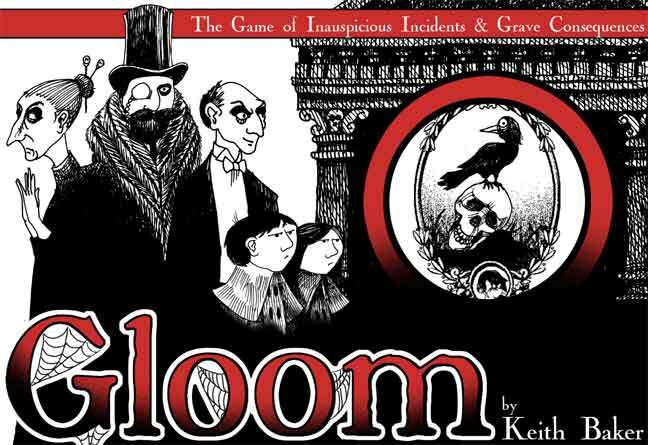 Enter ‘Gloom’, where each player gets a miserable family or vampires or circus freaks. You play transparent event cards on your own or rivals family members to tell their story, each either earning them points or removing them points. Some cards will kill the family members, with the goal to end the game with the most characters dead and with the lowest points. The transparent cards are a great design feature and the whole game is wonderfully macabre. Looking for something spooky? How about a seance? The players are conducting a murder investigation and conduct a seance to talk to the deceased suspect to learn the truth. You need to learn about the victim, the motive, the murder weapon but here’s the catch…the player in the role of the ghost can only communicate using visions, that come the form of cards. This is a fun mix of different play styles and makes for a great party game. 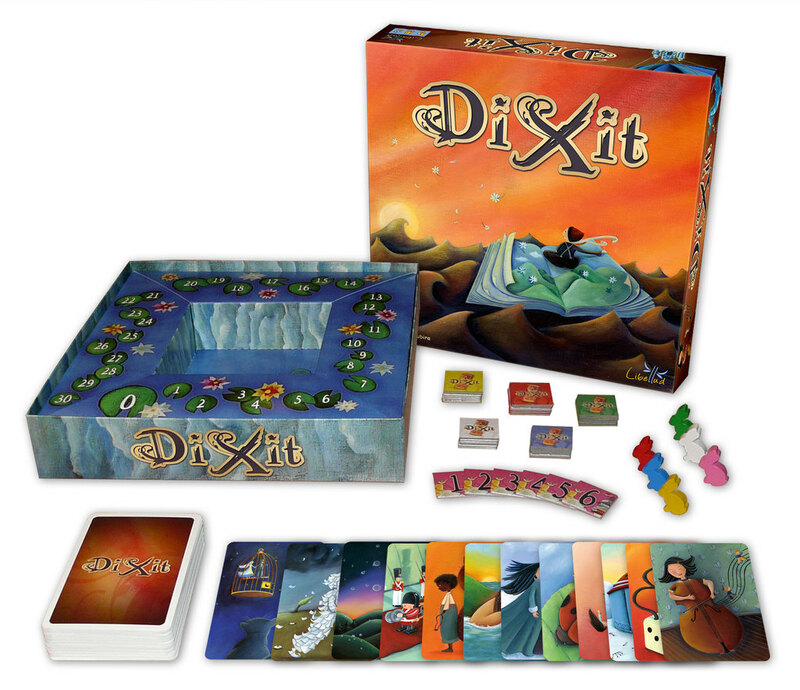 Coming in a funky tin box, this spirited adventure is well presented, easy to learn and has good replay value. 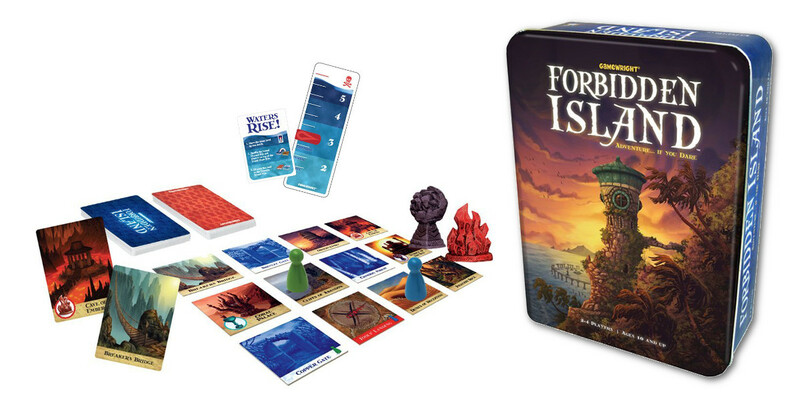 Players are explorers on an island with the goal of discovering the four treasures before the island is reclaimed by the sea. You have to work together to find them all before the location tiles sink beneath the waves, with a progressive difficulty that makes the game more and more challenging with every turn that passes. The sequel ‘Forbidden Desert’ is equally awesome if you need to get them something next year. 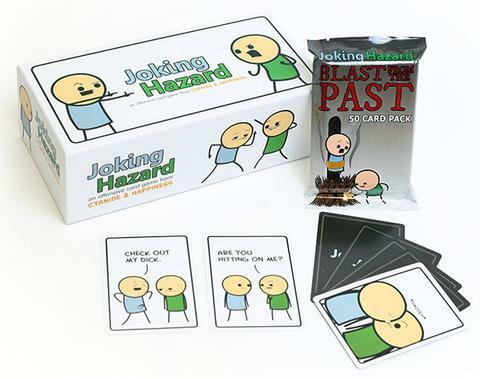 As a fan of both Cards Against Humanity and Cyanide and Happiness, I shall be checking out Joking Hazard – thanks for the heads up!